Just 28,000 years ago, the blink of an eye in geological time, the last of Neanderthals died out in their last outpost, in caves near Gibraltar. Thanks to cartoons and folk accounts we have a distorted view of these other humans - for that is what they were. We think of them as crude and clumsy and not very bright, easily driven to extinction by the lithe, smart modern humans that came out of Africa some 100,000 years ago. But was it really as simple as that? Clive Finlayson reminds us that the Neanderthals were another kind of human, and their culture was not so very different from that of our own ancestors. 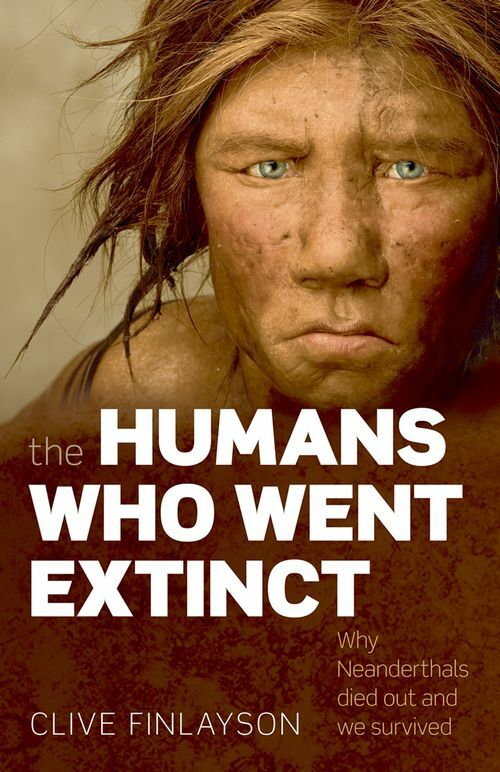 In this book, he presents a wider view of the events that led to the migration of the moderns into Europe, what might have happened during the contact of the two populations, and what finally drove the Neanderthals to extinction. It is a view that considers climate, ecology, and migrations of populations, as well as culture and interaction. His conclusion is that the destiny of the Neanderthals and the Moderns was sealed by ecological factors and contingencies. It was a matter of luck that we survived and spread while the Neanderthals dwindled and perished. Had the climate not changed in our favour some 50 million years ago, things would have been very different. There is much current research interest in Neanderthals, much of it driven by attempts to map some of their DNA. But it's not just a question of studying the DNA. The rise and fall of populations is profoundly moulded by the larger scale forces of climate and ecology. And it is only by taking this wider view that we can fully understand the course of events that led to our survival and their demise. The fact that Neanderthals survived until virtually yesterday makes our relationship with them and their tragedy even more poignant. They almost made it, after all. Clive Finlayson is Director of the Gibraltar Museum and adjunct professor at the University of Toronto. He is an evolutionary ecologist with a DPhil from the University of Oxford. For the past fifteen years he has combined his ecological work with birds with leading an international multidisciplinary project that has focused on excavations of the Pleistocene caves in Gibraltar, especially Gorham's Cave, recently confirmed as the site of the last Neanderthals on the planet. His previous publication was Neanderthals and Modern Humans: An Ecological and Evolutionary Perspective (CUP, 2004).